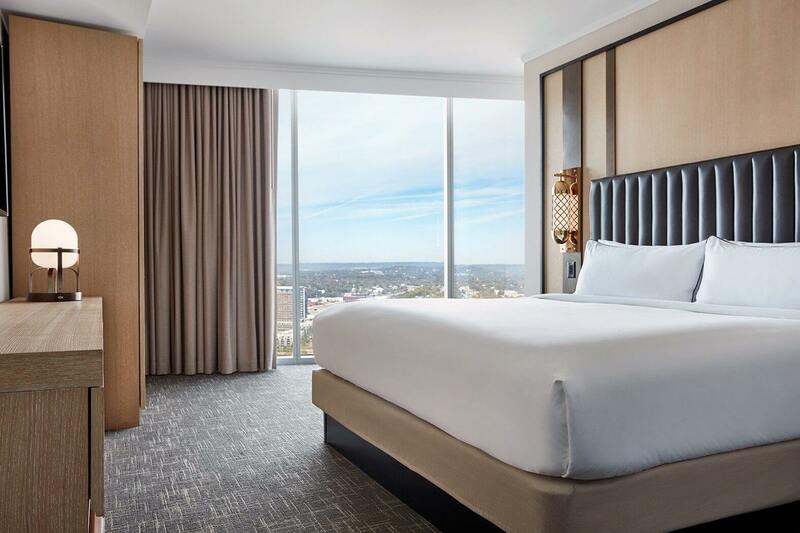 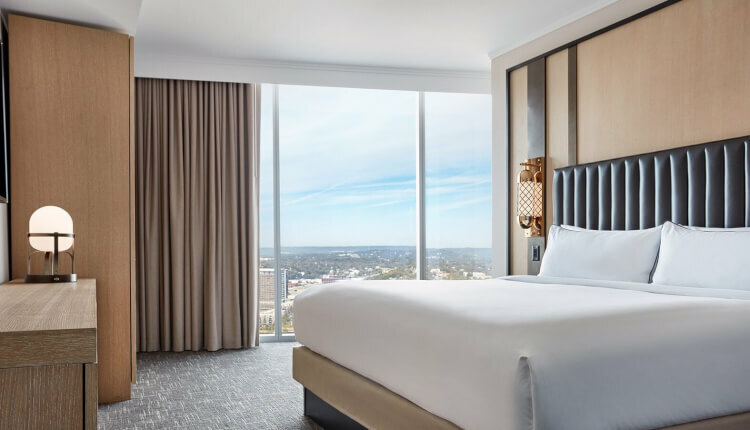 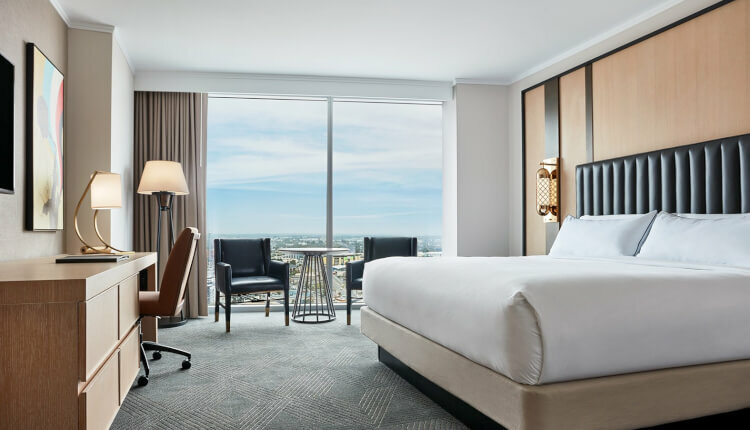 Our guest rooms and suites are among the most spacious in Nashville, each featuring floor-to-ceiling windows with breathtaking skyline views. 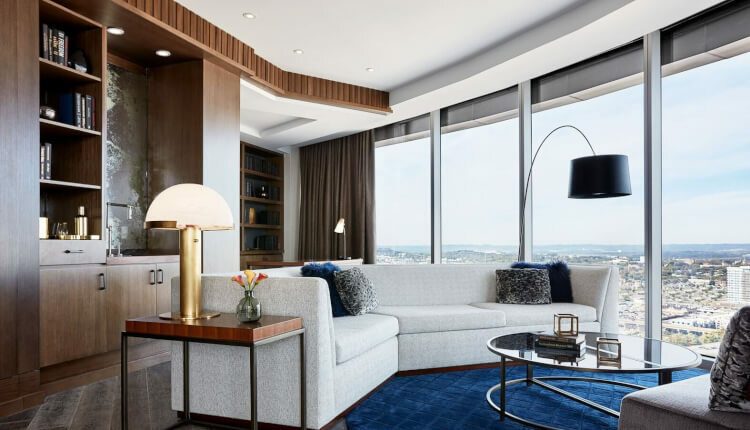 Our 37 suites, including two Presidential Suites, six Griffin Suites and 29 Executive Suites, are exquisitely designed to satisfy the most discerning travelers. 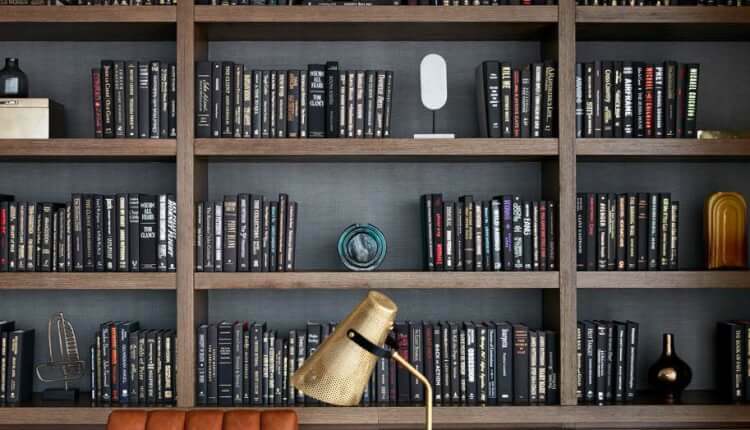 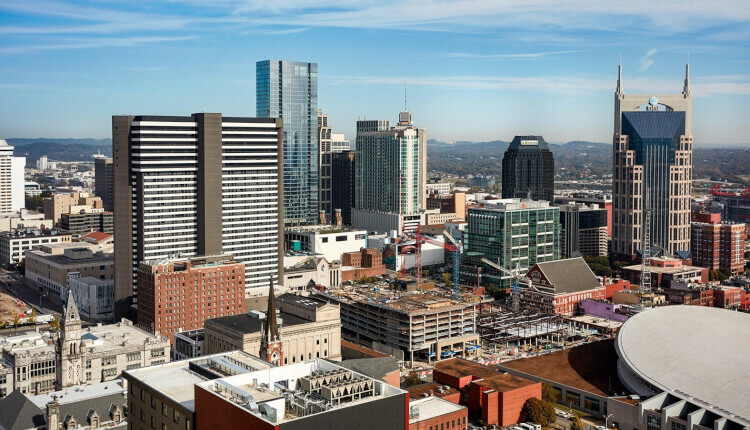 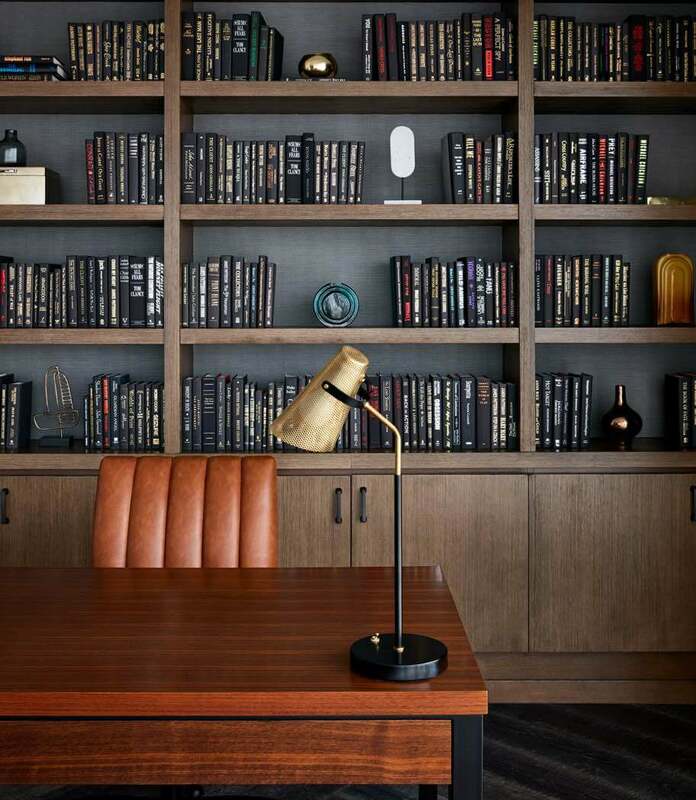 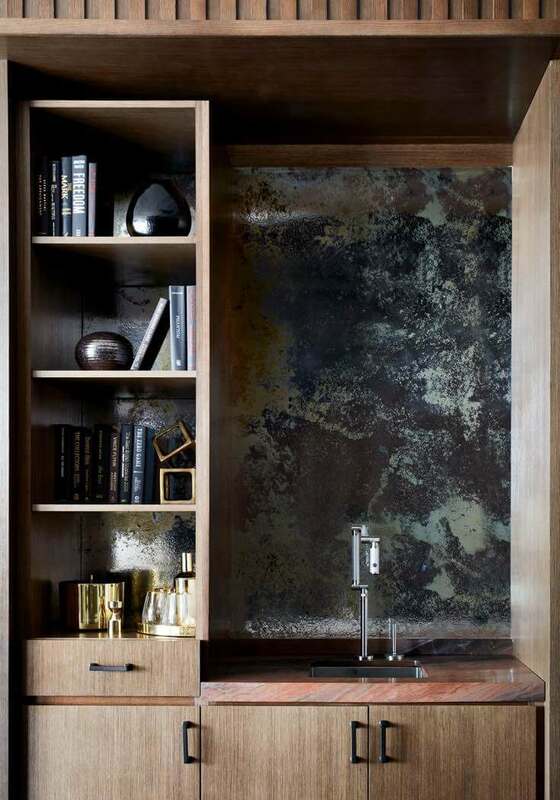 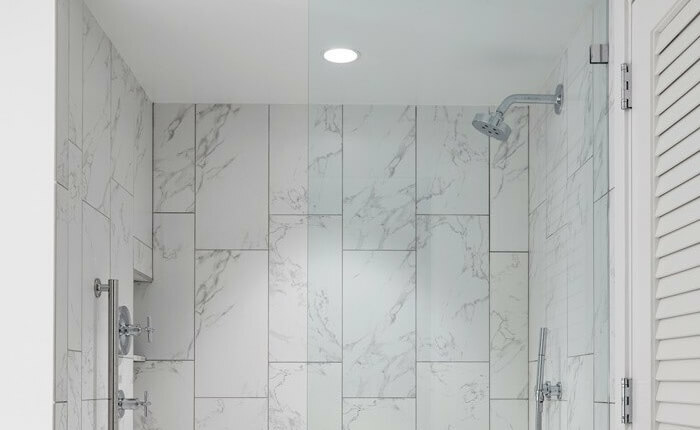 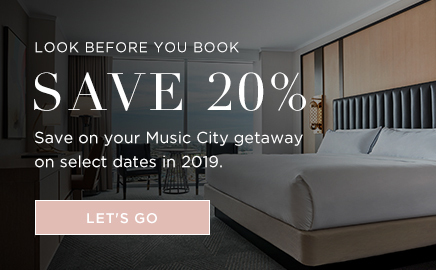 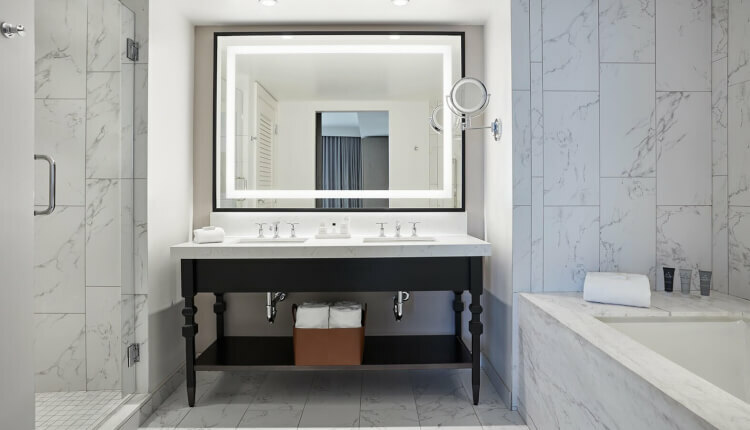 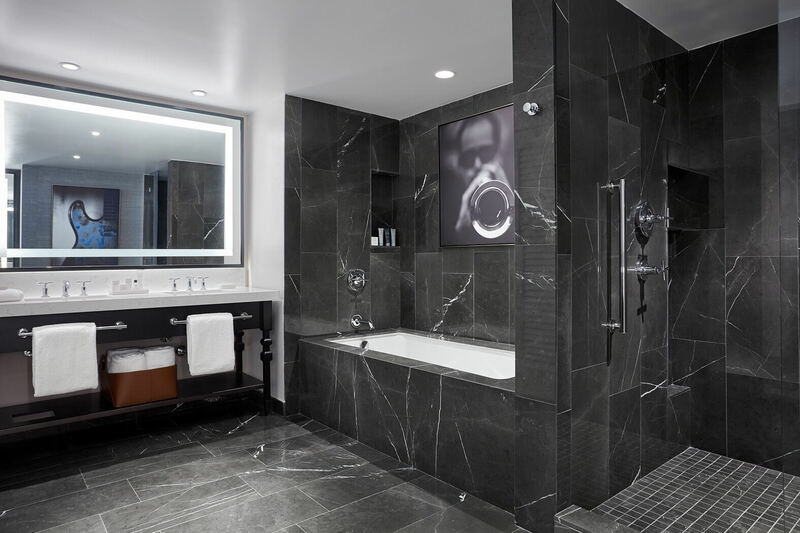 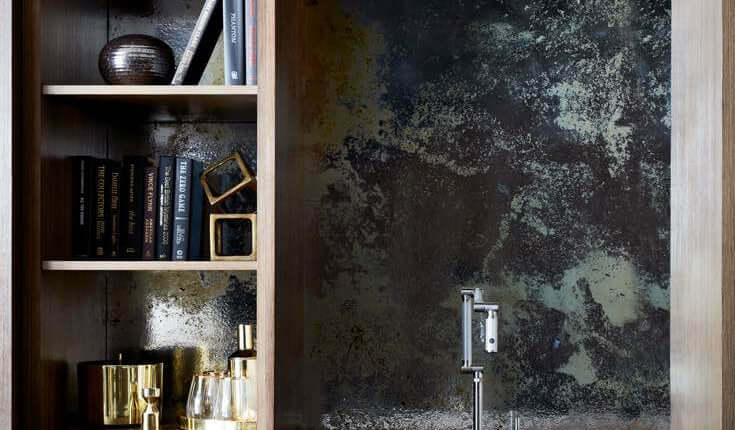 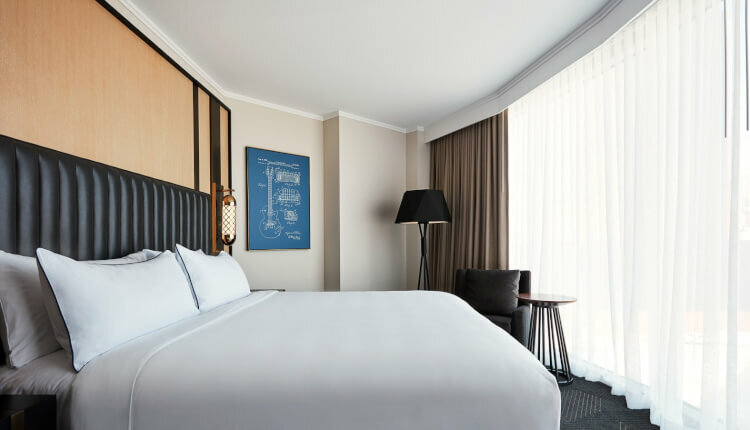 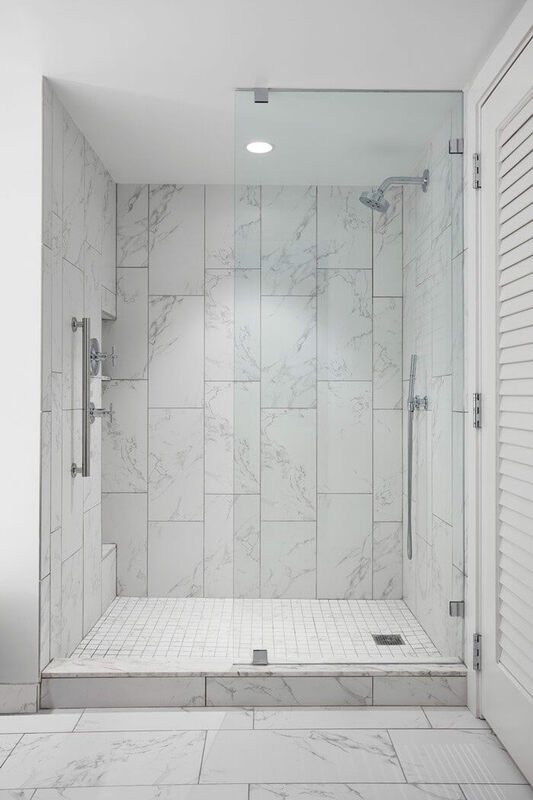 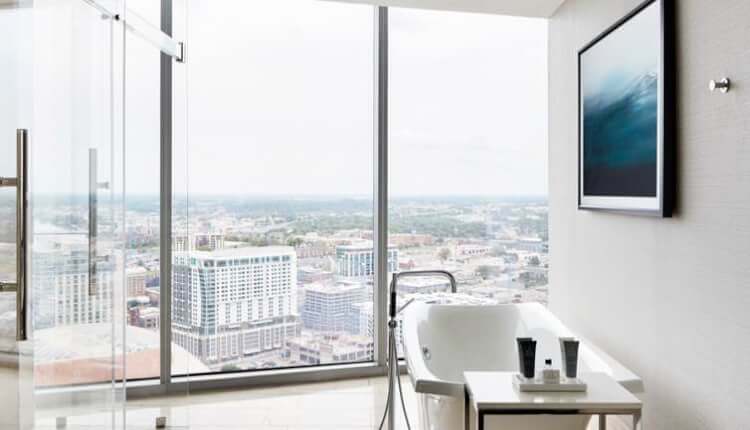 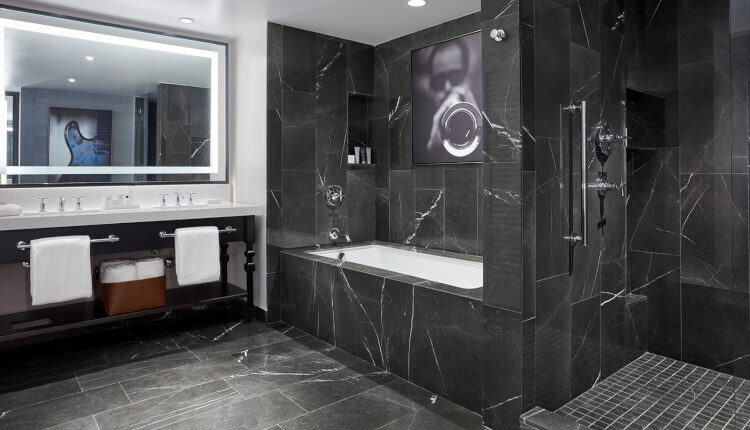 With state-of-the-art technology and artwork that reflects the soul of the city, each room is an amenity-filled environment designed to provide a seamlessly crafted experience and perfect stay in Music City. 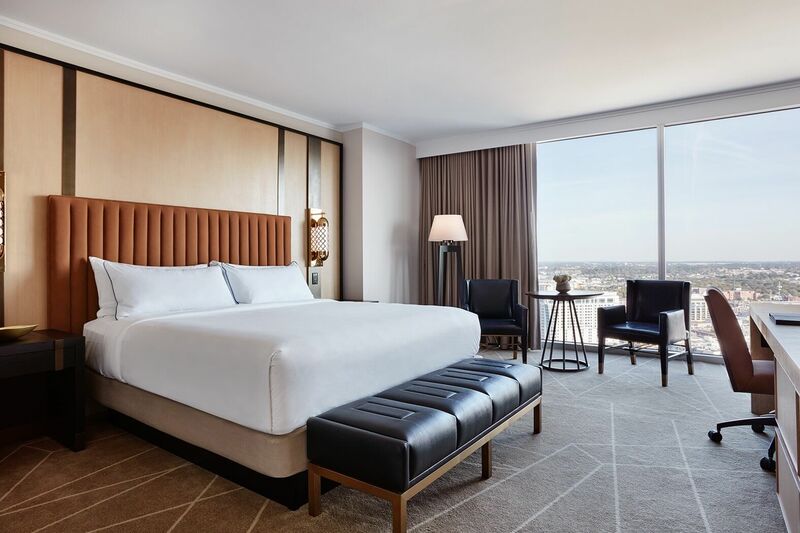 Stylish and sophisticated, our beautifully furnished Classic Rooms on floors 4-12 offer skyline views from floor-to-ceiling windows, luxe bedding, and shimmering decorative details. 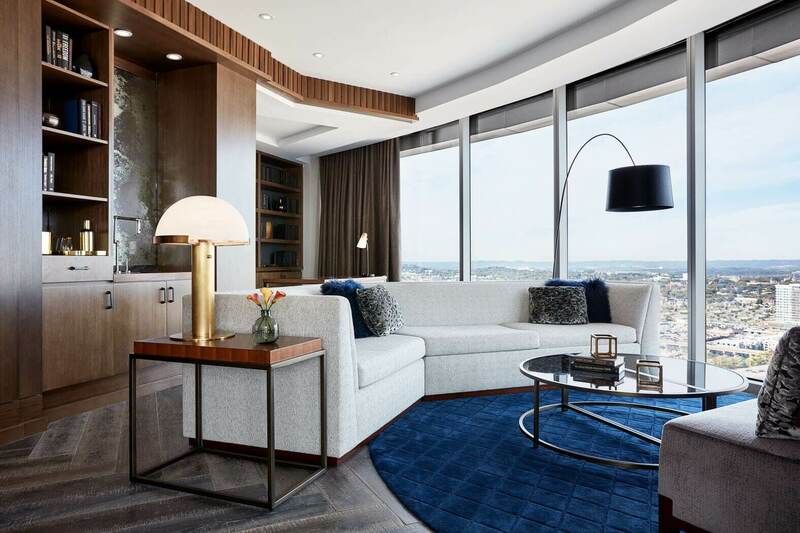 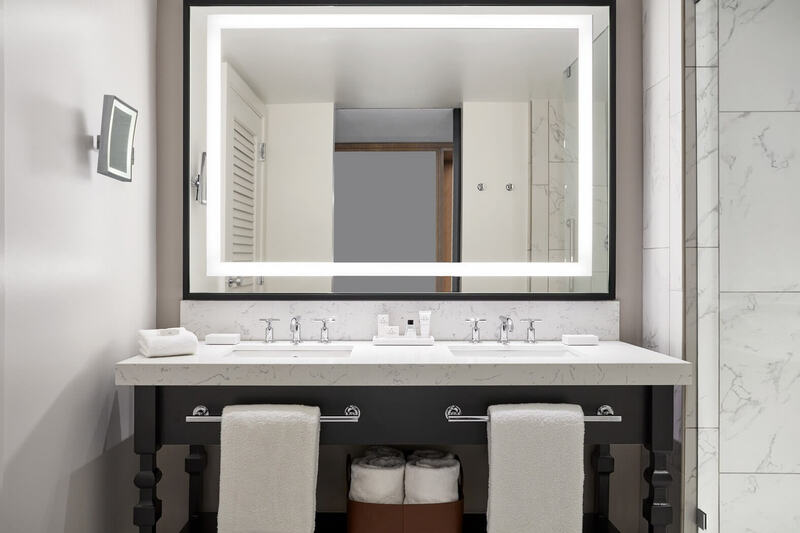 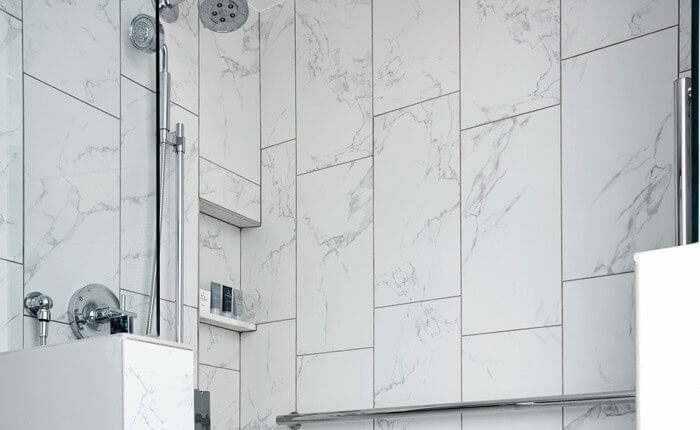 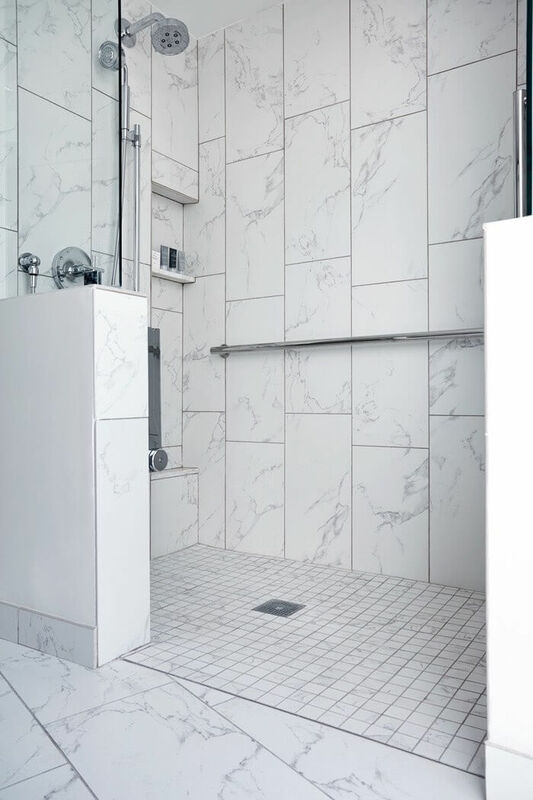 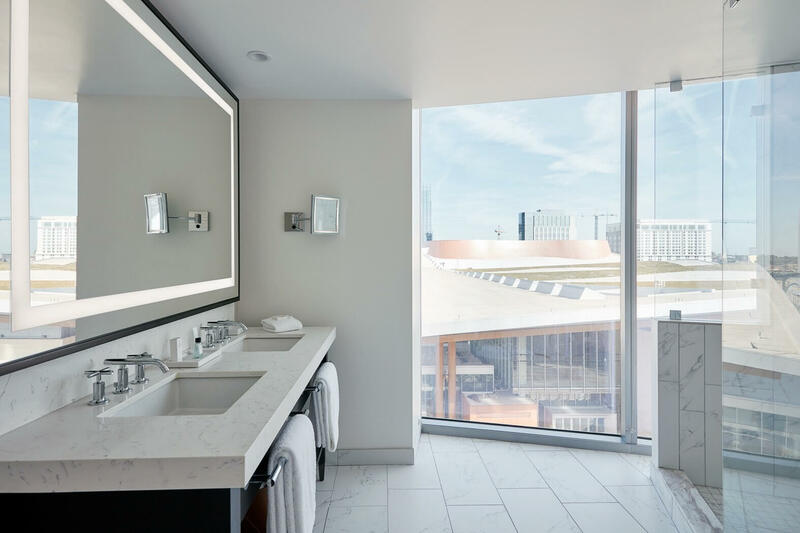 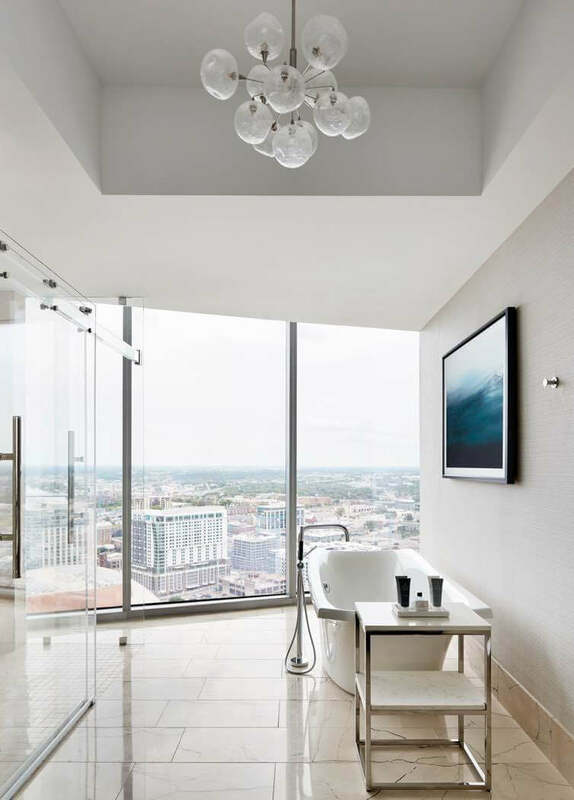 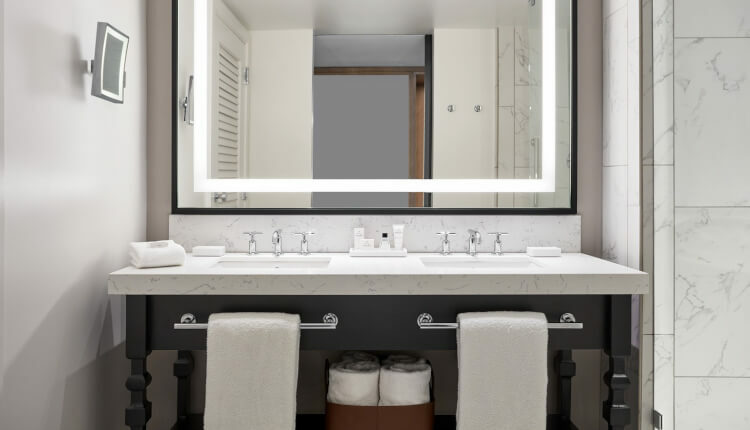 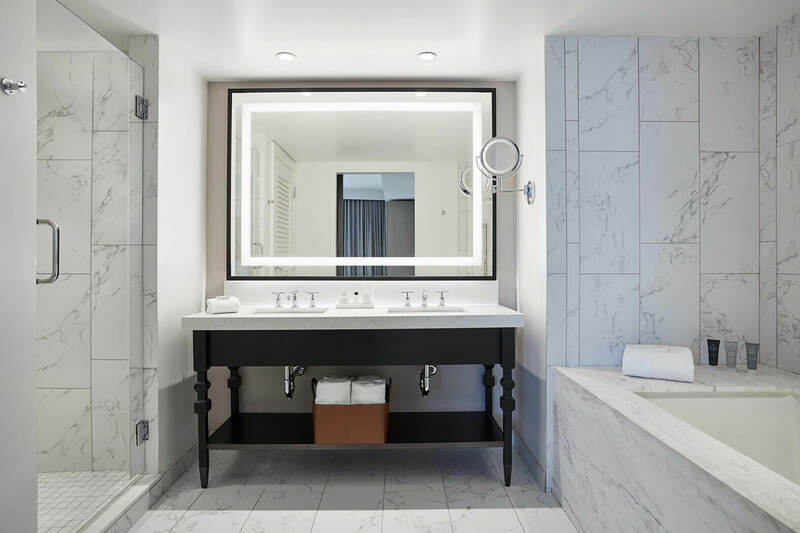 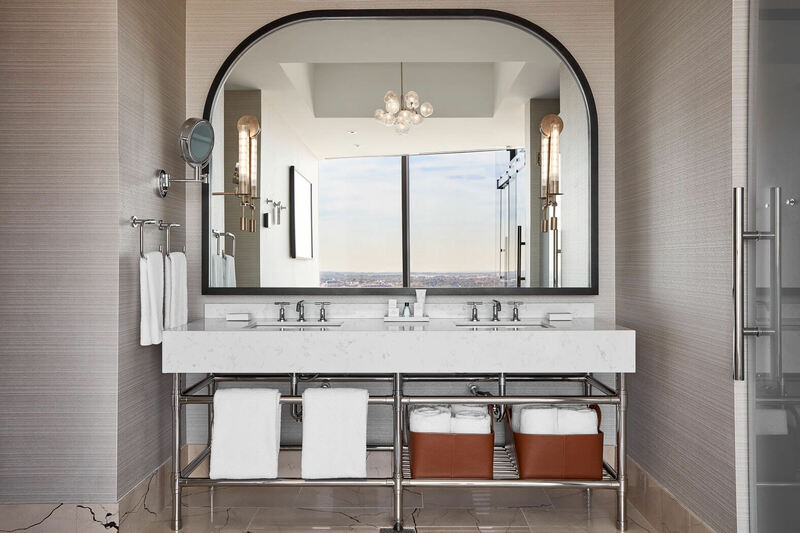 Located on floors 4-12, Classic Corner Rooms feature contemporary furnishings, spacious bathrooms with rain showers and double vanities, and breathtaking city views through floor-to-ceiling windows. 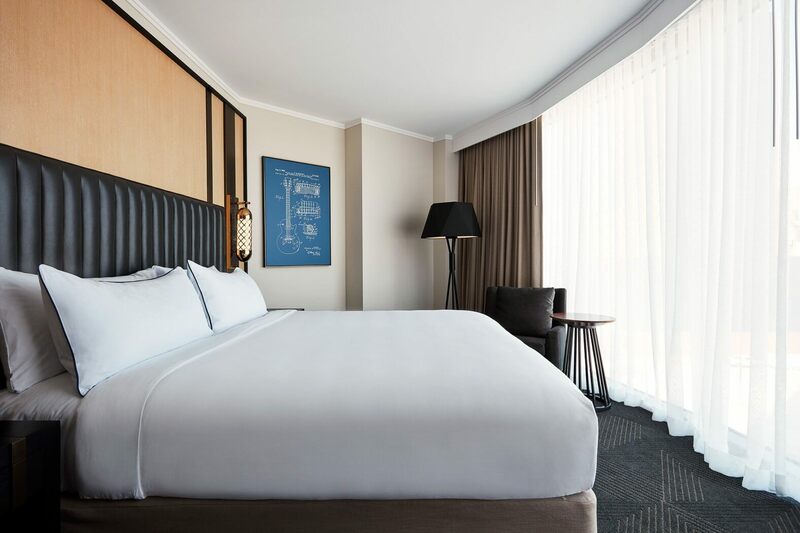 Warm woods and a soothing neutral palette create an atmosphere of residential luxury in our Deluxe Rooms. 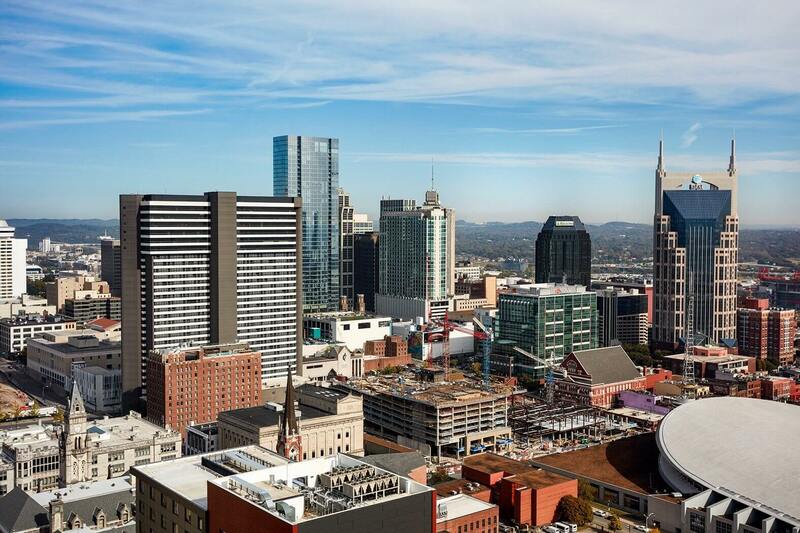 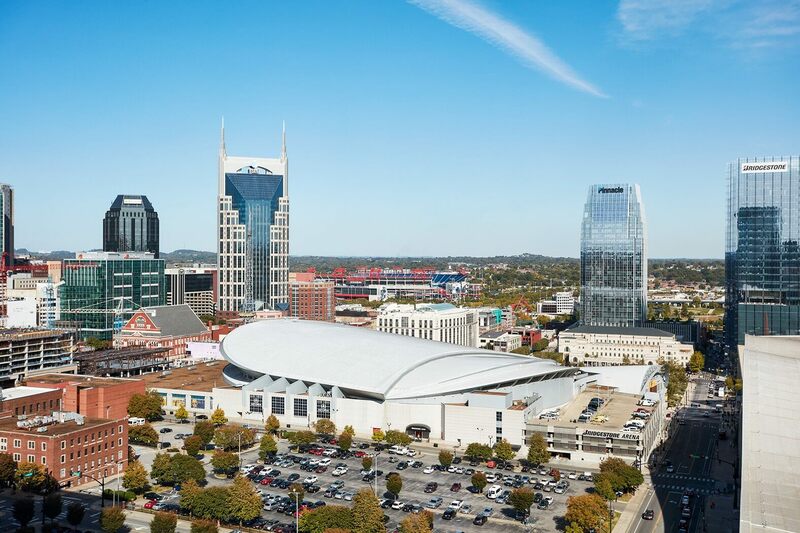 Located on floors 14-33, they offer expansive city views of downtown Nashville. 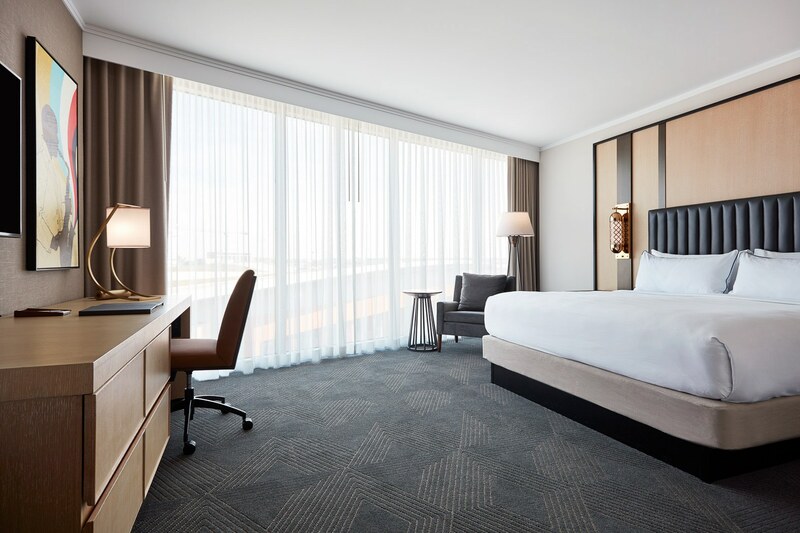 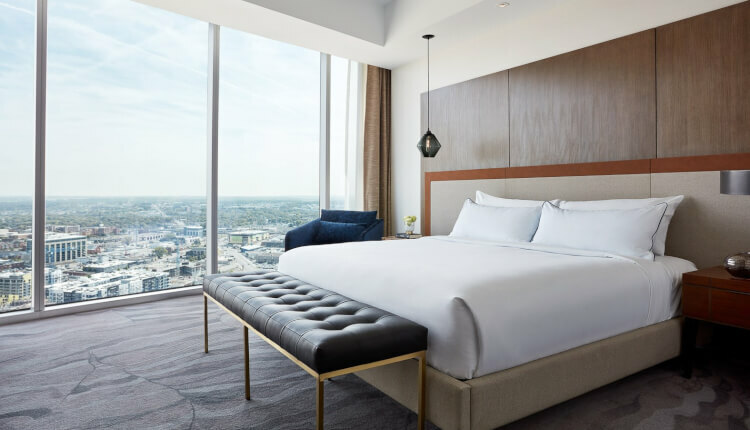 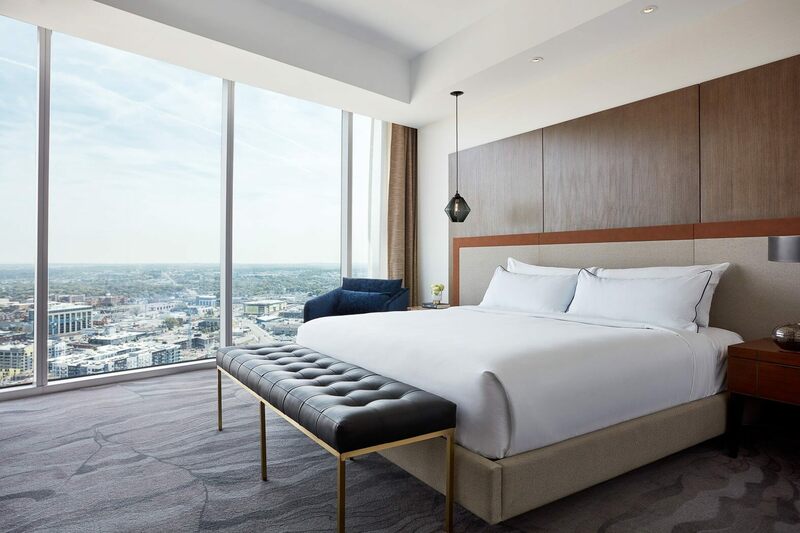 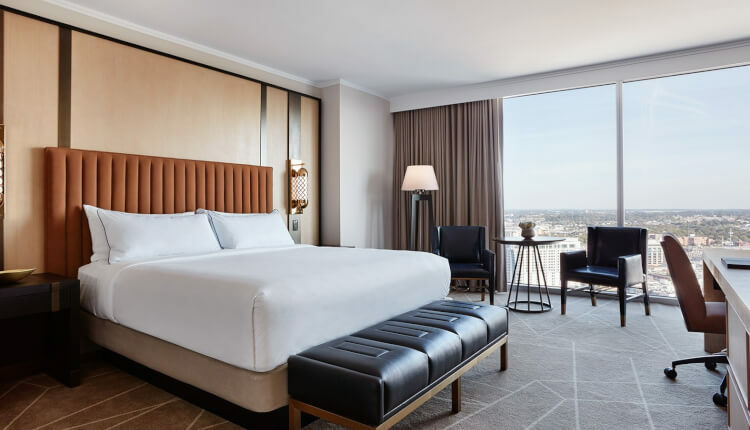 Featuring contemporary furnishings, premium bedding, and floor-to-ceiling windows, our Deluxe Rooms on floors 14-33 capture the essence of modern luxury. 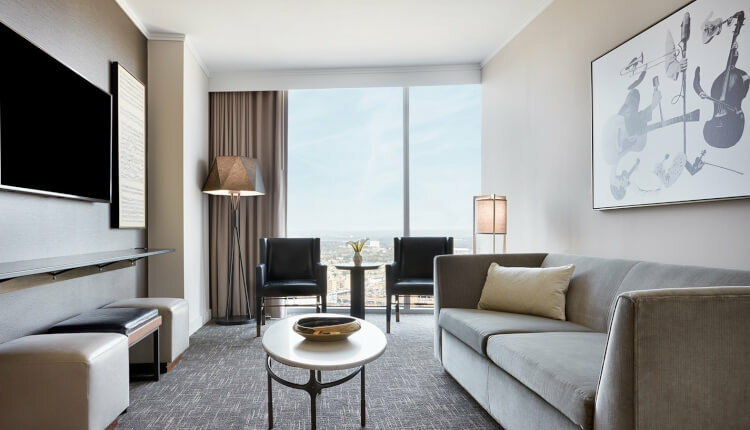 Located on floors 14-33, our Deluxe Corner Rooms are timeless urban retreats offering spectacular views from floor-to-ceiling windows and spacious bathrooms with double vanities. 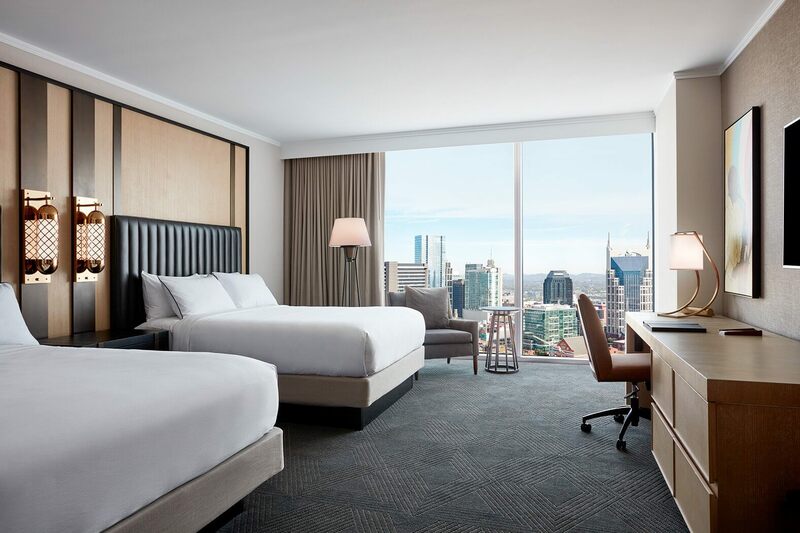 Located on floors 14-33, our Skyline Corner Rooms are sophisticated and serene, with warm woods, floor-to-ceiling windows, and stylish lighting creating a setting of urban glamour in the heart of Nashville. 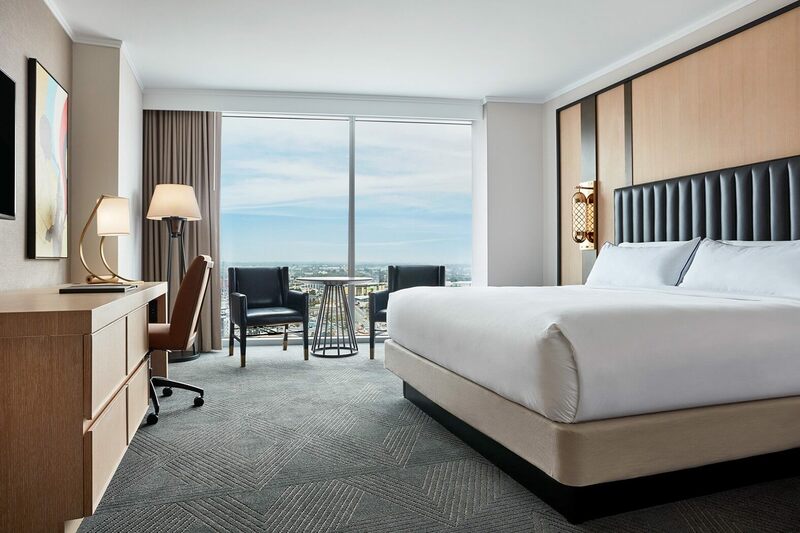 Skyline views from floor-to-ceiling windows are a magnificent backdrop for the modern furnishings and shimmering decorative details of our Skyline Queen Rooms located on floors 14-33. 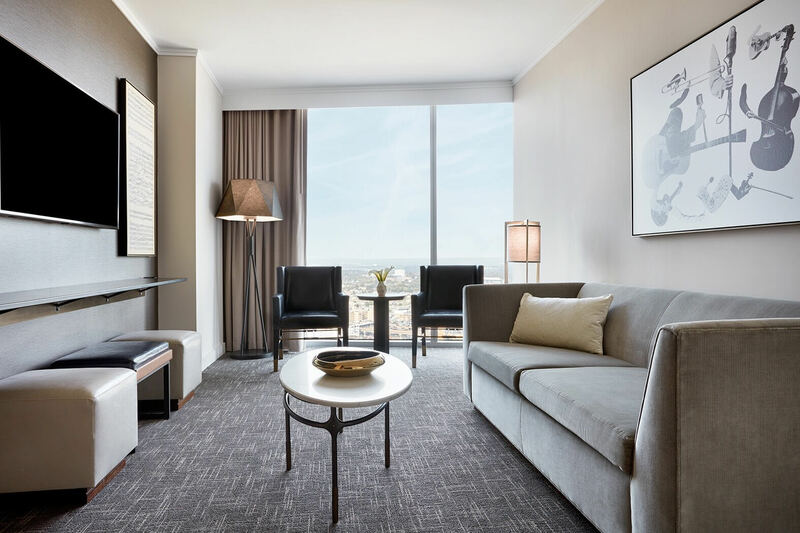 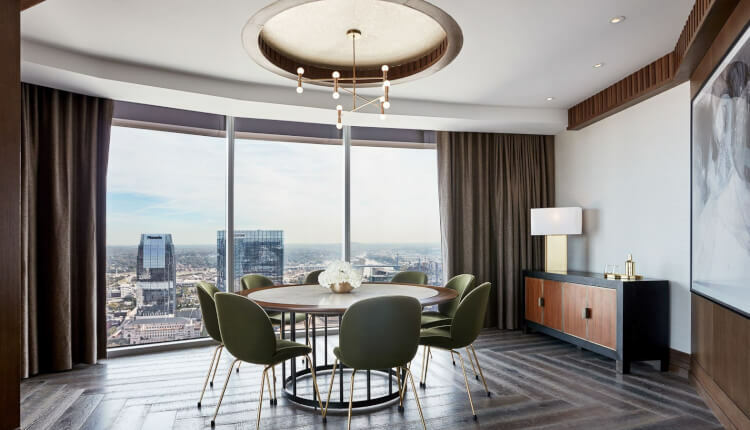 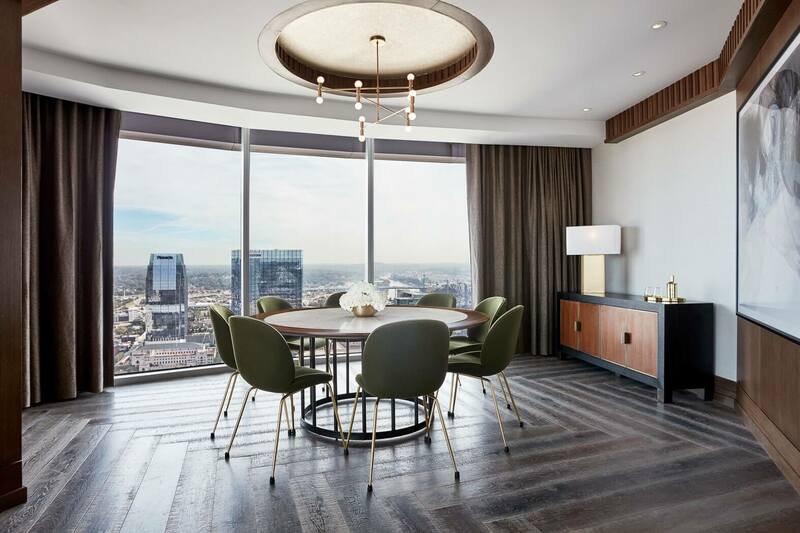 Ideal for in-suite entertaining, our Executive Suites on floors 4-19 have priceless views from floor-to-ceiling windows, contemporary furnishings, spacious bathrooms, and separate bedroom and living areas. 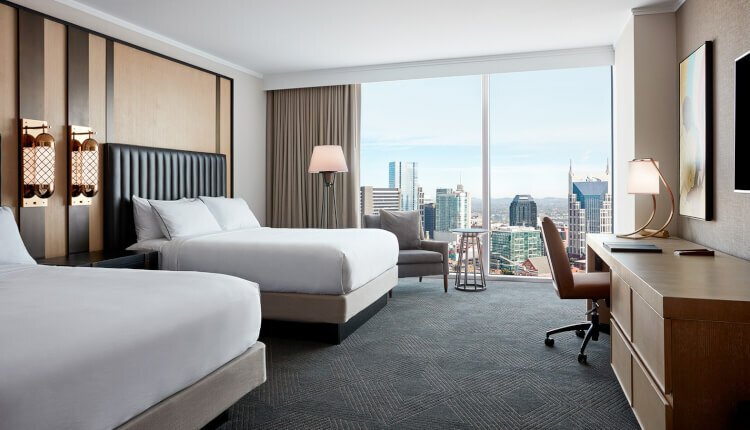 Skyline Executive Suites are spacious and feature separate bedroom and living area with unparalleled views of Downtown Nashville. 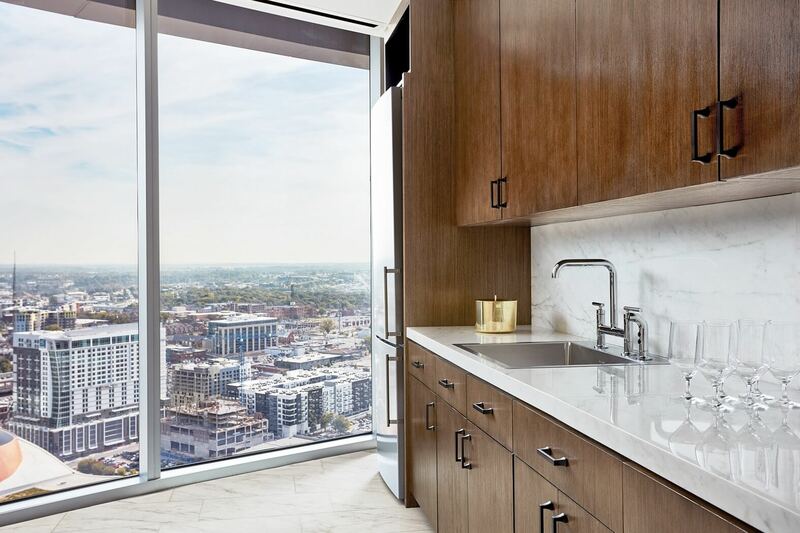 Skyline Executives suites are located on floors 20-33. 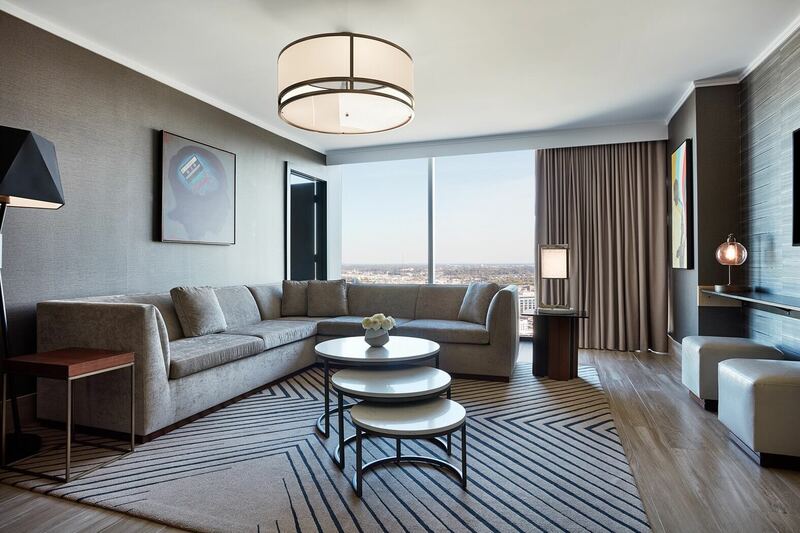 Located on floors 27-32, the Griffin Suites exude urban luxury. 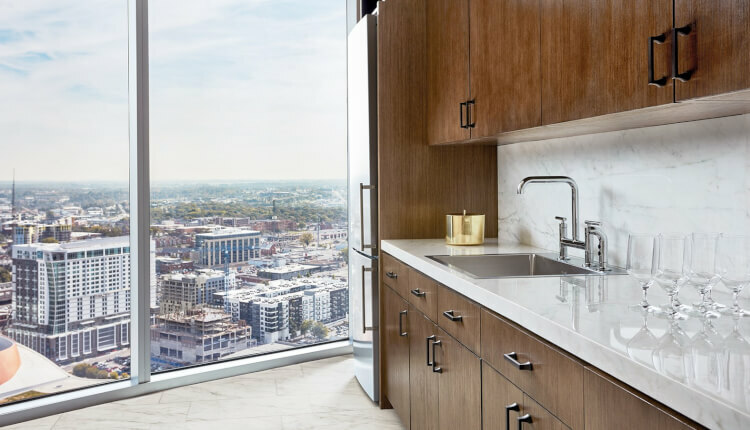 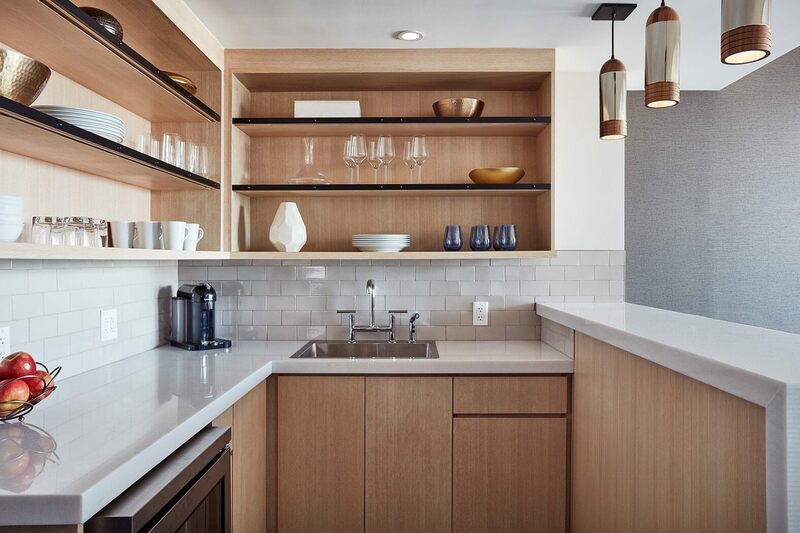 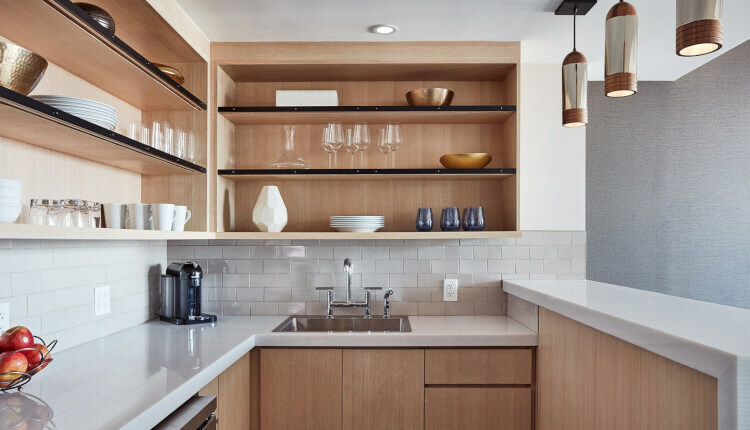 This oversized suites feature a separate bedroom and master bath, a separate half-bath, an exquisitely furnished living space, and full kitchenette. 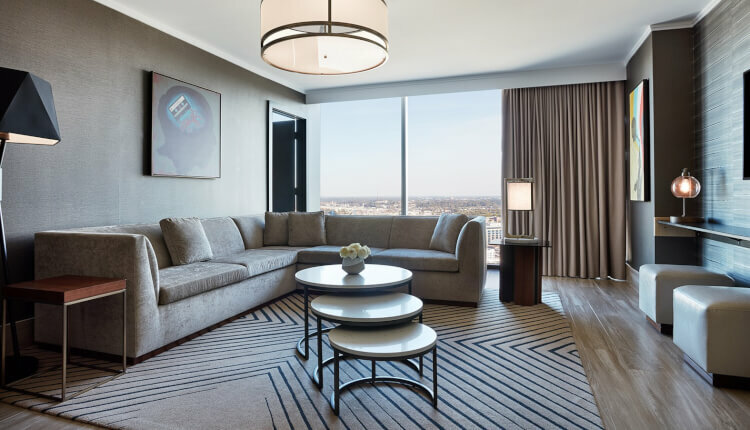 Our Presidential Suites on floors 32-33 offer the ultimate in timeless modern luxury. 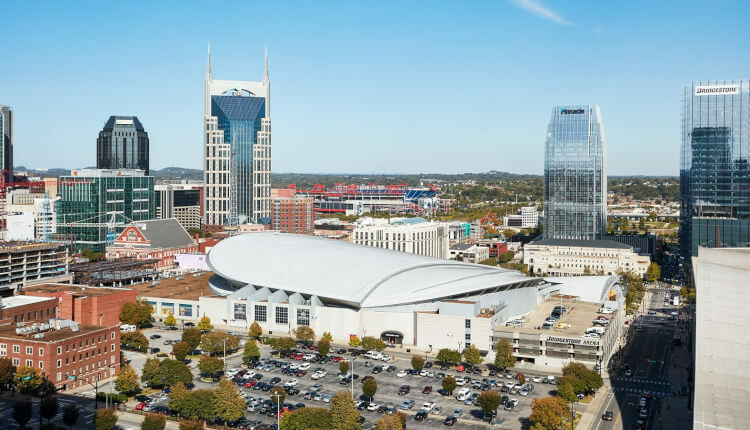 Featuring the most sought-after views of Nashville from the hotel’s highest vantage point, these oversized retreats each have an expansive living area, separate bedroom and master bath, separate half-bath, and full kitchenette.